Finding Your Way. 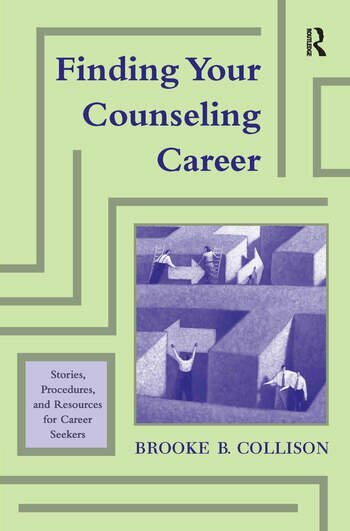 Is Counseling a Career for You? Counselor Characteristics. Preparation. Counseling in Education Settings. Counseling in Private or Independent Practice. Coaching and Consulting. Counseling in Governmental and Agency Settings. Counseling in Special Settings with Special Populations. Are There Jobs Out There? Your Application Process. Certification and Licensing. Profiles. Brooke B. Collison, PhD, is Professor Emeritus of Counselor Education at Oregon State University and a past- president of the American Counseling Association.